The first hospital GDPR violation penalty has been issued in Portugal. The Portugal supervisory authority, Comissão Nacional de Protecção de Dados (CNPD), took action against Barreiro Montijo hospital near Lisbon for failing to restrict access to patient data stored in its patient management system. Concerns were raised about the lack of data access controls in April 2018. Medical workers in the southern zone discovered non-clinical staff were using medical profiles to access the patient management system. CNPD conducted an audit of the hospital and discovered 985 hospital employees had access rights to sensitive patient health information when there were only 296 physicians employed by the hospital. Only medical doctors at the hospital should have been able to access that level of detailed information about patients. CNPD also discovered a test profile had been set up with full, unrestricted administrator-level access to patient data and nine social workers had been granted access to confidential patient data. 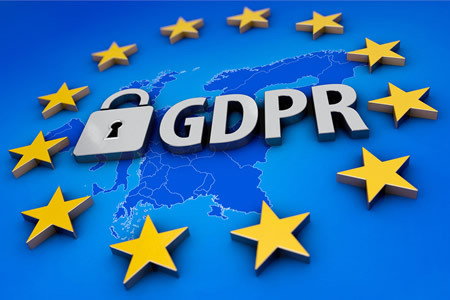 The failure to implement appropriate access controls is a violation of the EU’s General Data Protection Regulation (GDPR) which came into force on May 25, 2018. The hospital has been fined €400,000 ($455,050) for the GDPR violations – €300,000 for the failure to limit access to patient data and €100,000 for the failure to ensure the confidentiality, integrity, and availability of treatment systems and services. The hospital is taking legal action over the GDPR penalty. This is the first GDPR violation fine to be issued in Portugal and one of the first fines since GDPR started to be enforced in May 2018. The financial penalty is well below the maximum fine that can be issued for a GDPR violation, which is up to €20 million ($22.74 million) or 4% of global annual turnover, whichever is greater. In November, the supervisory authority in Germany, Baden-Württemberg Data Protection Authority, issued a financial penalty to the chat platform Knuddels.de for the failure to secure the personal information of EU residents. Knuddels.de suffered a data breach that exposed the email addresses of 808,000 users and 1.8 million usernames and passwords. The investigation revealed sensitive information such as passwords were stored in plain text. Knuddels.de was fined €20,000 ($22,750). The relatively low fine was due to the level of transparency over the breach, exemplary cooperation with the data protection authority, and the speed at which security upgrades were applied.